When you’re trying to get a good night’s rest, sometimes it is hard to come by. Do you ever find yourself begging, “Please, I’ll try anything!” What about an uncommon grain like buckwheat? Similar to the look and feel of rice, this cover crop can actually make an interesting fill for pillows as an alternative to traditional foams or poly blends. These pillows are filled with buckwheat hulls, which are the hard husks that protect the buckwheat kernel. A buckwheat pillow is usually going to be a little on the more expensive side, but boasts optimal performance when it comes to relieving neck and back pain. In this review, we’re going to look at the pros and cons of a buckwheat pillow and then dive into the specifics of the buckwheat pillow from Qbedding. Is this unusual pillow your ticket to better rest? Read more below to find out or scroll to the bottom for just the highlights and a quick summary! Buckwheat pillows originated in Japan and are known for their firm, supportive form. You may look to these unusual pillows if you suffer from allergies, neck pain, or back pain, or are looking for a pillow with cooling properties. Buckwheat is a natural material that contains no animal product. It can be an excellent option if you suffer from allergies as well. While you can’t go as far as to call it 100% hypoallergenic, natural buckwheat is known for its hypoallergenic qualities and resistance to dust mites. This is not to say that a buckwheat pillow will never get dust mites. Without proper care, all pillows can fall victim to dust mites, even those made from buckwheat. A buckwheat pillow may also be recommended by physical therapists, chiropractors, or medical physicians as a way to remedy neck pain, back pain, or spinal misalignment. The firmer shape and conforming quality of buckwheat allow the hulls to contour to your head and neck, providing these core muscles with ample support. 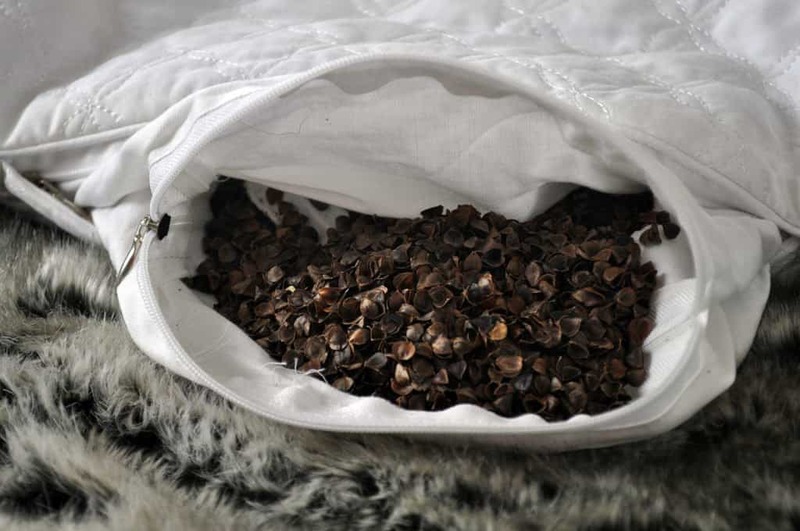 Lastly, the firmer buckwheat hulls allow more air circulation and reduce heat as you sleep. When the hulls are used for pillows, the actual buckwheat kernel is extracted, leaving a hollow casing that allows air to flow freely. While buckwheat pillows can be really great for unconventional support and a good solution for allergy sufferers, some sleepers find them too firm and hard to maintain. These all-natural hulls cannot be washed or cleaned with water. For proper cleaning, most manufacturers recommend placing the hulls under direct sunlight to sterilize and get rid of any excess moisture that may be in the pillow. 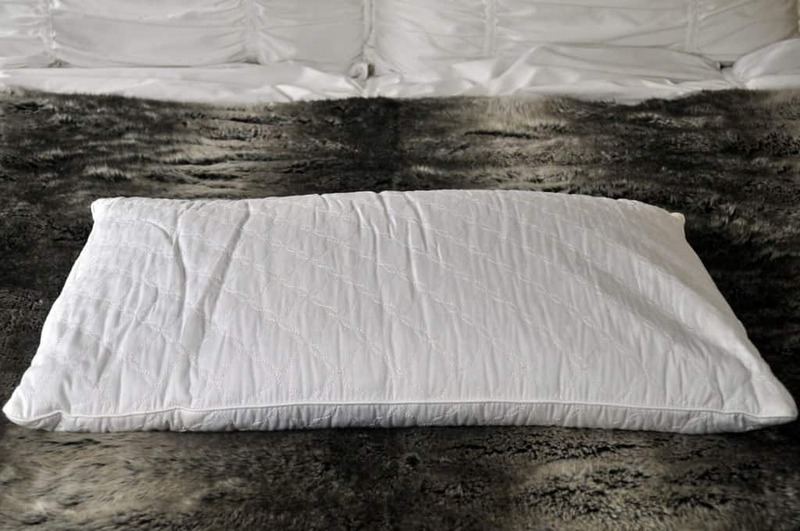 This buckwheat pillow review is looking at a pillow by Qbedding. It has a simple buckwheat hull fill that is encased in a cotton pillow lining. There is a double zipper that keeps the hulls inside the pillow and out of your bedding. You can also use the zipper closure to add or remove buckwheat to make it comfortable. Take away hulls to make the pillow a bit softer or add hulls for a firmer feel. As the pillow ages and the hulls compress, you may also want to add hulls to refresh the pillow. The cover on this pillow is made from 100% cotton and has a sham-style closure. The vibrant polka dot front and striped back make it a fun addition for a child or teen’s bedroom. That said, there are other covers available as well, including more standard white, light blue, and light pink. As mentioned above, this buckwheat pillow from Qbedding is going to be on the firmer side compared to most pillows on the market. 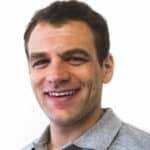 That being said, the hulls can shift and move to contour around your head and neck, so the firmness does translate into support while you sleep. While this pillow takes some adjusting to get the fit just right, once the hulls are comfortably adjusted, there is minimal shifting throughout the night. 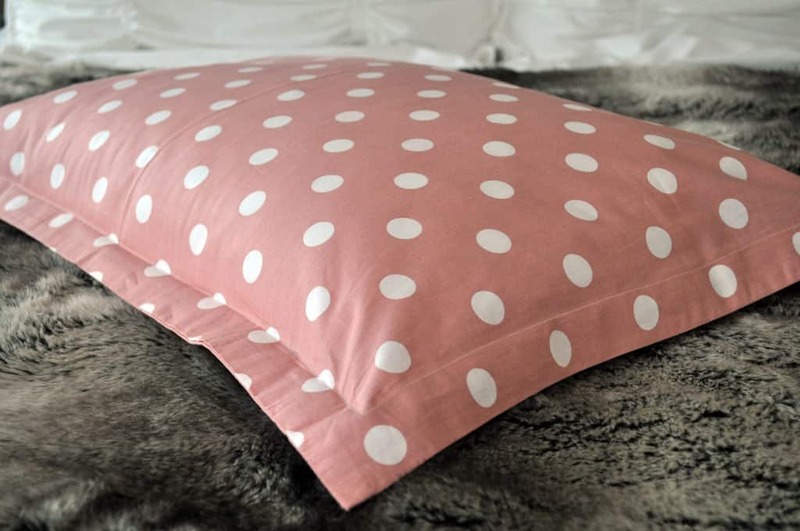 Although this pillow was too firm for my taste, if you struggle with allergies or are looking for a custom and adjustable form, this pillow may be right for you. Simply adjust the hulls to fit the contours of your comfort level, pushing hulls together for a firmer feel or spreading them out for a softer feel. Smell – There was minimal smell to this pillow. Who should buy the Qbedding Buckwheat pillow? Although unconventional, the Qbedding buckwheat pillow can be a very successful way to find that rest you’ve been searching for. The buckwheat hulls, heavy and somewhat loud for a sensitive sleeper, and difficult to clean, but for a troubled sleeper, the benefits may far outweigh a few inconveniences. Want neck or back pain relief – A buckwheat pillow is going to provide lasting support through the night due to the strong structure of the buckwheat hulls. Adjusting the amount and position of the hulls is also going to help make sure you have lasting support in all of the right places. 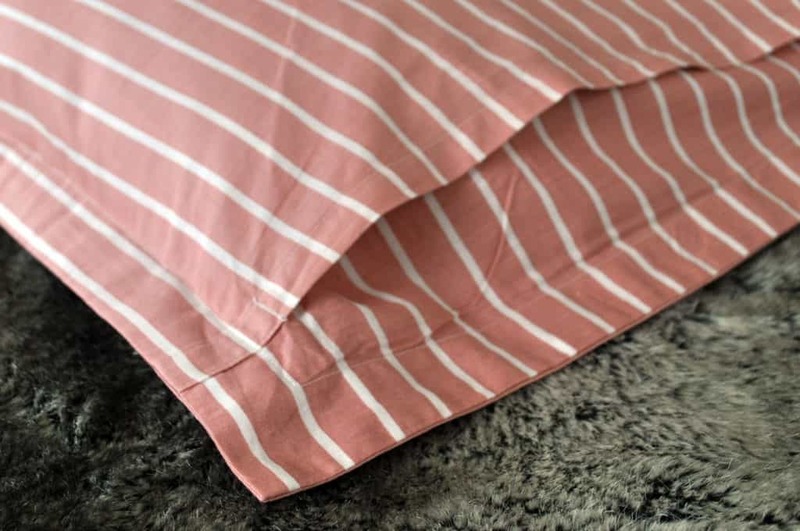 Want a cool pillow – Many sleepers complain of waking up hot in the middle of the night or simply not getting the air flow they’re looking for in their pillow. Again, I’m going to reference the usual structure of the buckwheat hulls. Because the kernels are removed from the hulls, this pillow has excellent air flow where the kernels have been extracted. 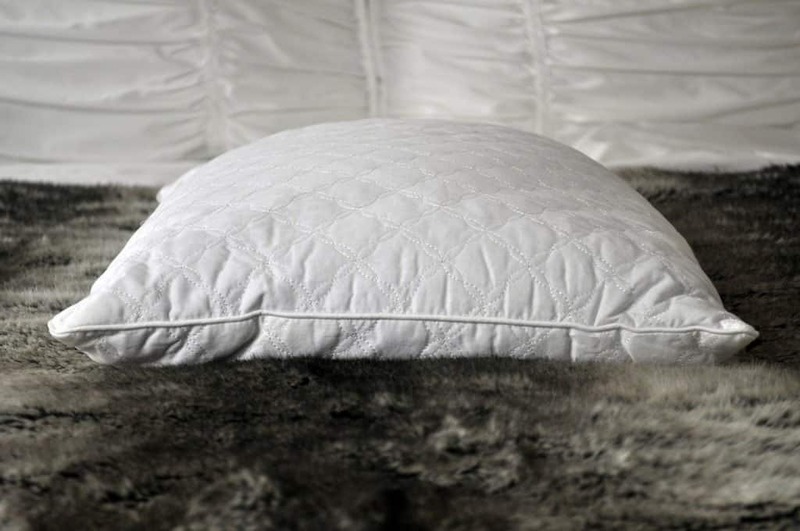 Want relief from allergies – These pillows are historically known to have hypoallergenic qualities that limit the presence of dirt, allergens, or dust mites. Learn more about and buy the Qbedding buckwheat pillow on Amazon.com. A buckwheat pillow is quite unusual, although gaining popularity in the United States. If you prefer the feel of a firm, dense pillow; suffer from allergies; or struggle with neck or back pain, a buckwheat pillow might be just the fix for you.